Barcelona is one of the better tourist towns in Spain next to Ibiza and Madrid. 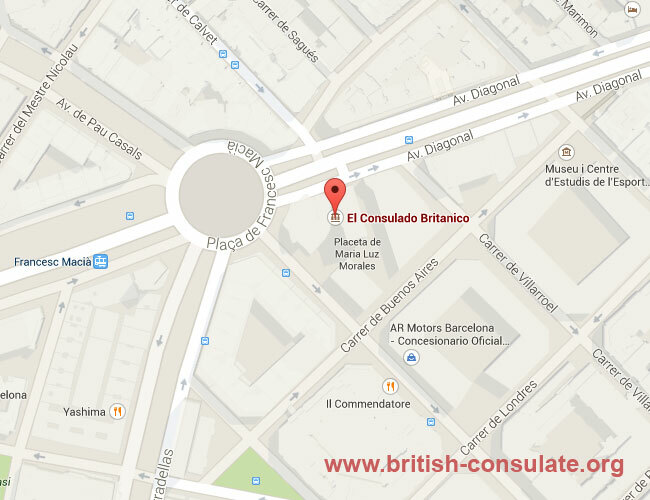 There is a British Consulate in Barcelona if you are a tourist and need consular assistance while on holiday. This assistance is limited to certain things which the Consulate can assist you with. There is also the ability to seek advice about renewing a passport or applying for a passport if you have lost yours. The contact details for the British Consulate in Barcelona has been listed below with a map and telephone and other details such as their street address which has also been listed below. Barcelona is the 10th-most-visited city in the world and there is a reason why. The city has much top offer tourists visiting the EU. The city is also the third most visited city in Europe after London and Paris. Each year the city welcomes more than 8 million tourists. There is a map listed below with their contact details such as fax and telephone numbers as well.